Richard done all the electrics on our 2 story extension and so glad we got him on board with it. Punctual polite and professional, offered extra options and advice. Will be using again for any future work. Richard stood out from the rest of the Electricians I asked to quote for a small job. His response was within an hour of me asking for a quote. The price was fair and we agreed a date. He works with care and attention and explained what he was doing and sought agreement for placement of sockets and fittings. A pleasure to deal with! Installation of electrical sockets. Work was completed quickly and to a high standard. Richard is friendly, professional and communicated well throughout. Would definitely recommend and use again. Turned up and took over from a electrician I had trouble with. Rang Richard and next day 8am was at the front door. Looked at what needed doing. Gave a price and got all the work and more done in that price. Great guy easy to deal with. Very happy customer will use again. Carried out a complete rewire on my mother's house. Old, listed building that had wiring from the 40's, 50's, and 60's. Handled a very challenging job with good humour, professionalism, sensitivity (for my mother not knowing if it was really needed! ), and efficiency. Highly recommended. I needed 5 heating panels installed. 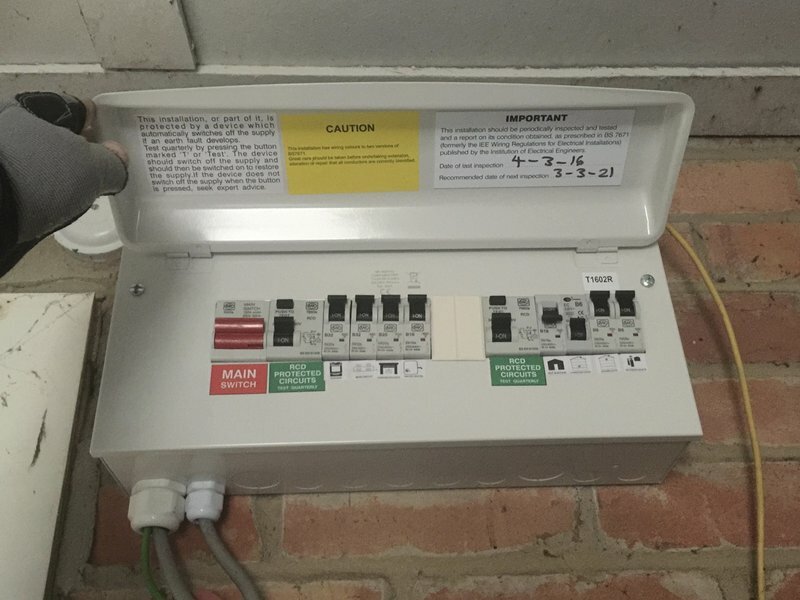 They arrived at the agreed time, listened to my needs and carried out the work in a tidy and professional manner, would be more than happy to use them again and will now be my first place I go to when needing any further electrical work done. Richard Galvin replaced my 1964 fuse box (aka consumer unit) and sorted out the muddle left by several previous electricians over the years. He came when he said he would, completed the work in good time, left everything clean and tidy and was a pleasure to have around! Oh, and his price was very reasonable, too! Top marks all round! Arrived on time and carried out a thorough, professional, electrical inspection. Found one fault which was quickly fixed. Top quality work.